It was a glorious summer day in Slovenia’s charming capital, Ljubljana, back in July of 2011. Mini Seedcamp was in town and Fred Destin had just given a magnificent talk on the “Startup life cycle”. After the main event, we all strolled through the streets of Ljubljana, over the “triple bridge” (“Tromostovlje”) crossing the Sava river to the Mayor’s reception. 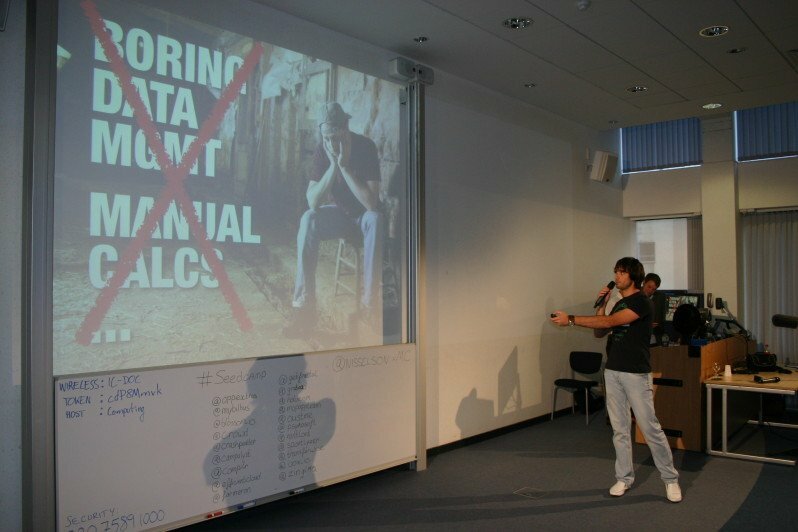 I commented on the startups that we had seen pitch that day with Bostjan Spetic, founder of Zemanta. We quickly agreed that the skinny kid talking about cows in the cloud was very, very interesting. That kid was Matija Kopic and his startup was Farmeron. He wanted to enable dairy farmers to be more efficient and help them grow their businesses in the process. Two months later, it was Seedcamp Week in London. Matija took the stage. Jeans, leather jacket and long hair, he had the looks of an aspiring rocker as he told – very passionately – the story of his family. They were farmers, he explained, stuck in the old ways of farming “by gut feeling“. Farmeron was going to change all that. They would provide a cloud solution which would help farmers – specifically, dairy farmers – manage their business more efficiently. A cloud solution for … farmers? Many people were sceptical. Farmeron immediately got the label which Matija hates – “Facebook for cows“. Undeterred, the young founder got into Seedcamp and soon secured a $1.4M funding round with a stellar group of investors led by Lee Hower of NextView Ventures and including 500 Startups, Robin Klein, Jeff Clavier, Evan Nisselsson and Naval Ravikant. Now comes a new round of $2.65M in which the existing investors, all participating in the round, are joined by new partners from the agricultural industry such as Virtus Nutrition and MFE Tech. Matija’s thesis back in 2011 was actually quite simple. There was a new generation of farmers, he explained to us, to whom digital, online, performance and efficiency were not such foreign terms as they were to the older crowd. These new agricultural (or “ag”, as it’s referred to by those inside the sector) entrepreneurs were keen to actively manage the performance of their businesses. What’s more, their numbers were growing, even as the digital tools at their disposal were rapidly becoming outdated. These were complex, expensive software packages that looked like someone was trying to impose the SAP philosophy on the business of dairy farms. Farmeron’s original business model was a typical “consumer / prosumer” approach: let’s offer 3-5 levels of pricing and service, customers will come along from who knows where, sign up and start using and paying for the service “as they go”. In the meantime, things have changed dramatically. Working with key customers has become a very “hands-on” business for the team, and especially the CEO, since the product has attracted large, enterprise-grade ag customers. It has the potential to become an integral part of their day-to-day businesses so the only way they are buying is by speaking to a real, live sales person – for many of them, that “person” is CEO Kopic. Tech.eu reached out to some of Farmeron’s customers and investors as well as CEO Matija Kopic to get a feel for what this means for the company and what are the hurdles and opportunities going forward. SoftTech VC and NextView Ventures are two VC firms which participated in both funding rounds. We asked them for an investor’s perspective on the difference between Farmeron today, compared to when they closed the previous investment round? Jeff Clavier, SoftTech VC: Farmeron has made a ton of progress since we first invested: product, business, footprint, brand,… We’re very excited about their position in the market, hence our offer to lead this round. Lee Hower, NextView Ventures: The company has made exceptional progress in the commercial roll out of the product over the last 12-18 months. When we initially invested Farmeron had a relatively small number of customers, primarily based in Europe. 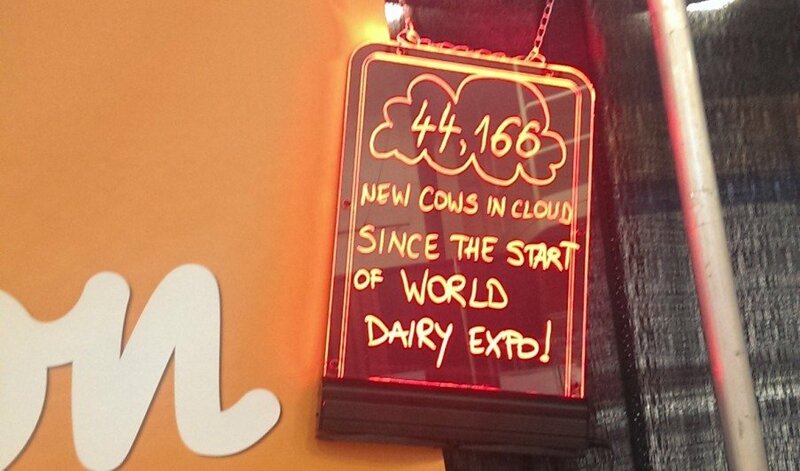 They have expanded substantially here in the US to now have hundreds of thousands of “cows in cloud” across many customers. Tech.eu: What are the major challenges you see for the company to realize its full potential? Jeff Clavier: The usual for any vertical SaaS company: demonstrate a large business potential, figure out a scalable customer acquisition strategy (not trivial given the fragmentation of the market) and respond to all the interest they are getting. Nothing they can’t handle. Lee Hower: The primary challenge in the middle phases of the company are to take early success with customers and grout that into a highly scalable and efficient selling model. Farmeron is clearly establishing a scalable model to sell to and support more farms with their software, and a big reason for this new round is to enable them to prove this out and continue growing the customer base. Tech.eu: How far do you see Farmeron going in the next few years in terms of liquidity for investors? Jeff Clavier: I believe that good things happen to good companies – as long as the market is big enough, and ag certainly is. So I don’t worry about exits. Lee Hower: Matija is first and foremost focused on building a great business by serving the needs of farmers, and as investors we completely support him in this. So we honestly don’t spend too much time thinking about long run exit or liquidity today. Agriculture remains a vast part of the global economy, and we believe a lot of the increase in efficiency in the next 5-10+ years will come from software in addition to ag/biotech and business process improvements. So I certainly believe there’s ample room for standalone public companies in the ag software space, but again we don’t really focus on this today. Tech.eu: Does your investment in Farmeron in any way speak to your heightened interest in other startups from Central and Eastern Europe? Jeff Clavier: No, we actually don’t invest in Europe at all. Our backing of Matija/Farmeron just speaks to the quality and the potential of the opportunity. Lee Hower: As a US based investor, we don’t have a specific focus on startups in Central & Eastern Europe. We invested in Farmeron because we were impressed by Matija as a founder and excited about the opportunity in a huge market (agriculture). But we’re happy to invest in companies like Farmeron that have a presence both in Eastern Europe and the US, and I know there’s a big increase in tech entrepreneurship and lots of talented founders throughout Eastern Europe. Tech.eu: Could you briefly describe the value Farmeron has brought to your business? Aaron McAfee: Farmeron has improved my ability to generate the reports I need faster and simpler. I haven’t even begun to unlock the value in feed rations, tracking and drilling down profitability, labor analysis, etc. So far my primary savings has been in saving me time on my monthly herd reconciliation report and my weekly herd data report. Additionally, I like the Cloud-based platform that I frequently use from my iPhone to check on cows when I am in the field. 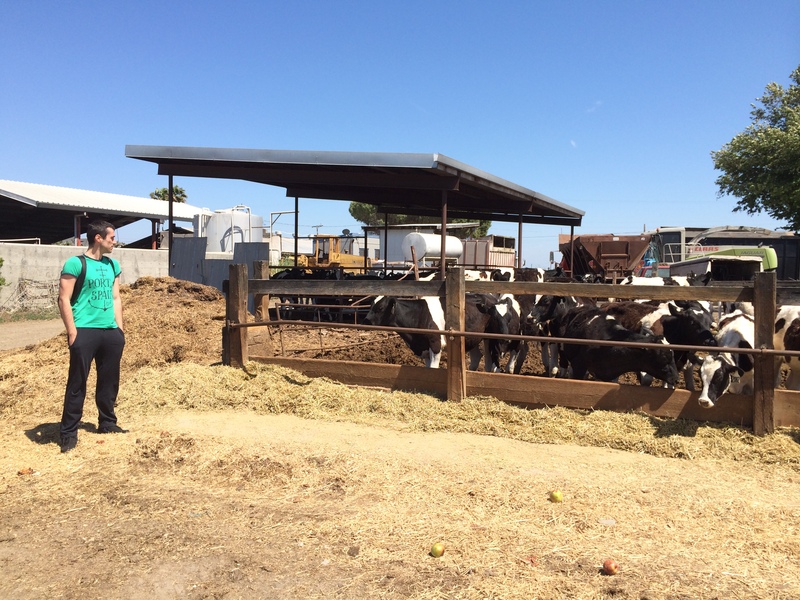 Before, we had to drive back to the office to check on a cow… Or look at old data. Tech.eu: You manage a large farm, Farmeron is a (still) small startup, do you see that as a risk? Aaron McAfee: It was an issue in the beginning and I was very concerned. But after a detailed demonstration at the World Ag Expo, my concerns were alleviated. Their website is secure, they have a very reliable and simple to use product. They are very good at responding quickly with any technical support I need. I would be concerned had I not gotten to know Farmeron, but now that I have, I am not worried at all. Tech.eu: What is the main value you get out of using Farmeron? Lindsay Byrne: Before using the system, I kept all records by hand, on paper, which was very time consuming. By saving us lots of time on record keeping, it gave us more time to attend to other things on the farm. Farmeron is a centralized data point for quick interpretation and decision making, it helps to make sure things are getting done when they should be and most importantly it has given us more time to manage other aspects of the farm. Tech.eu: Had you been using competitive products? Lindsay Byrne: I had been looking for something for five years and I wasn’t fully satisfied with what was out there. The product that had the most functionality of what I was looking for, I used for a semester in a college course and did not like how complicated it was and knew it would be difficult for my dad to learn to use. With Farmeron, all data can be entered directly on the farm with a smartphone. Tech.eu: Any other reasons to like Farmeron? Lindsay Byrne: I was surprised (and happy) to see how much support each producer is given, not only through the set-up and training but into the future as well, since this is not seen much in the industry. My dad really likes how focused they are on making the producer happy, he loves how they are very willing to work with a producer on payment and how much training is given to the producer to make sure the producer is comfortable using the product on their farm. We also spoke with CEO Matija Kopic about where Farmeron is today and what the next steps are. Tech.eu: What are your key metrics – how many farms, how many cows? Matija Kopic: I can’t share the exact data, but I can say that we have dozens of large scale customers and hundreds of thousands of cows being managed on the Farmeron platform. In terms of headcount we are 30 today, planning to grow to 45 or 50 by the end of the year. Tech.eu: What’s your geographic reach? Matija Kopic: 98% of our business is in the US, most of it in California, Wisconsin, Minnesota, Michigan and Indiana. We have a few customers in other countries but we’re completely focused on the US market. Tech.eu: How is Farmeron different today from the company you pitched at Seedcamp in 2011.? Matija Kopic: We’ve completely focused our target market to large scale, enterprise dairy farms. The team is fantastic. The product is solid – I won’t say “great” because we have a lot of work ahead of us, especially in analytics and BI. Matija Kopic: Finding the best people is always a challenge – hiring takes up a significant piece of my time as CEO. Then there’s the issue of onboarding. Our customers are not always that sophisticated when we first start working with them so there’s a lot of manual work that needs to be done, particularly making sure the initial, entry data is properly structured and correct. Tech.eu: Where is Farmeron headed in the near- to mid-term future? Matija Kopic: Our goal is to win the enterprise farming market. Ironically enough for a SaaS company, a lot of that success depends on professional services – consulting and mentoring our customers, if needed, to better understand the technology and all the benefits they can get out of it. Building a great team and evolving this side of our business is going to be another major challenge. CICs (Cows in the Cloud) is our key metric and we know exactly how many CICs we need to become the most relevant livestock farming database in the world. The patterns and insights we are able to extract from that database will be the foundation for a whole new generation of products and services coming from Farmeron in the future.